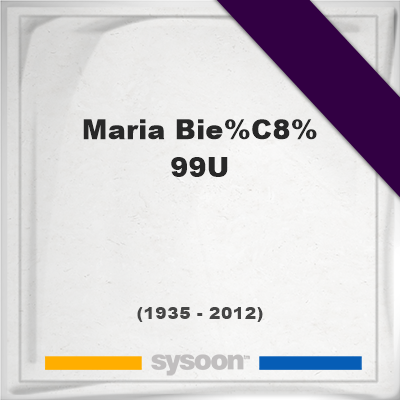 This memorial website was created in memory of our loved one, Maria Bieșu, 76, born on August 3, 1935 and passed away on May 16, 2012. Where Maria Bieșu is buried? Locate the grave of Maria Bieșu. How to find family and friends of Maria Bieșu? What can I do for Maria Bieșu? She was a Moldovan opera singer. 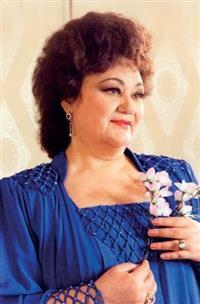 Debuting in 1961, she eventually went on to become the chief vocalist of the Chisinau Opera and Ballet Theatre. Her artistic excellence brought her international recognition and invitations to sing in other countries, including Italy, where she performed at the Milan Opera from 1965 to 1967. Note: Do you have a family photo of Maria Bieșu? Consider uploading your photo of Maria Bieșu so that your pictures are included in Maria Bieșu's genealogy, family trees & family history records. Sysoon enables anyone to create a free online tribute for a much loved relative or friend who has passed away. Address and location of Maria Bieșu which have been published. Click on the address to view a map. Maria Bieșu was born in Volintiri, Moldova. Maria Bieșu died in Chisinau, Moldova.